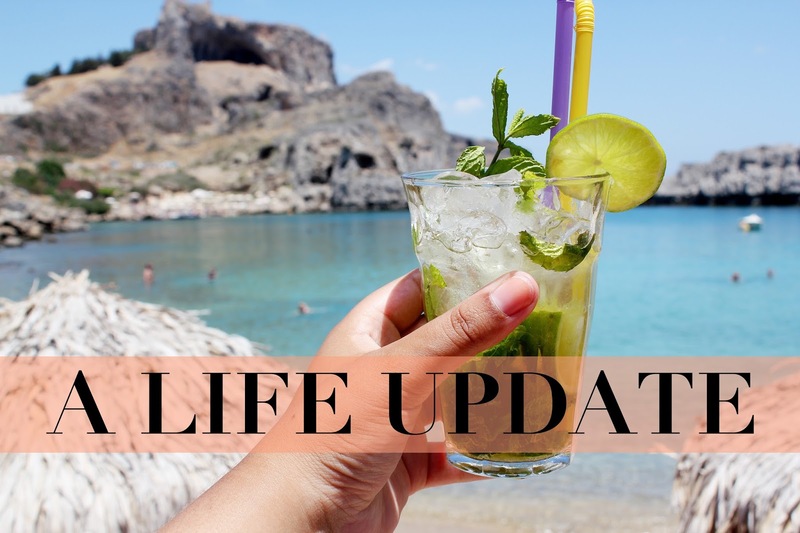 It’s been a pretty hectic 6 weeks for me and I think it’s time for an update. I’ve finished university, moved back home, been reunited and no longer living the long distance relationship life with my boyfriend, went away to Greece, went to A LOT of interviews and I’ve landed a pretty good graduate job and started it all in just 6 weeks. First things first, I finished university and it wasn’t an easy ride 3rd year is so hard and it really tested me. Just under 2 weeks ago I got my results and I’m graduating this Thursday with a 2:1 in Fashion Communication and Promotion. I moved back home and that is tough when you are so used to living by yourself but it’s so nice to spend more time with my family and not being my 3rd year stressed self! I love being back living close to my boyfriend to, no visiting each other twice a month! I went away to Rhodes about a week after moving back home and I had the best time on holiday with my boyfriend and exploring a new island in Greece. You will have already seen one outfit post (here) but I’m still going through photos and creating content for the coming weeks including a Rhodes guide, which I am sure, some of you will love to see, as I know you love a good travel post. Then the job search began, I had been applying for jobs but not had much luck, but shortly after coming back from my holiday I secured a few interviews. It’s a very anxious time searching for a job but I'm sure the dream job will come along soon! So what does the future hold? Will I blog forever? I think the next 6 months will be really interesting; it’s time to work hard, have fun and make lots of new memories!